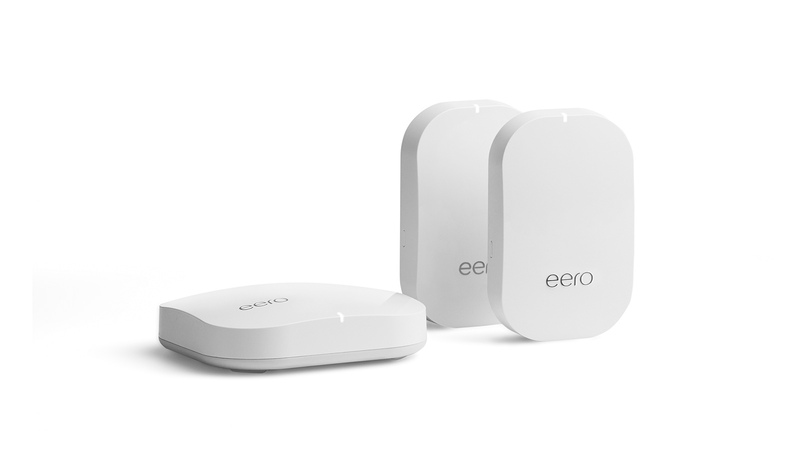 This system comes with an eero Pro and two eero Beacons that seamlessly cover a 2-4 bedroom home in fast, reliable WiFi. Plug eero Pro into your modem. eero Beacons simply need power. A complete WiFi system covers every nook and cranny of your home with fast, reliable connectivity. With the eero app in hand, you can see what's happening on your network, check device usage, share your network with friends, or even pause the internet. The eero setup process is quick and simple. Once your Home WiFi System is up and running, eero takes care of its own troubleshooting and updates. No more manual router resetting. Unlike traditional routers, eero provides automatic security updates. No searching, downloading, or installing needed. Do I still need to have service from an Internet Service Provider? In order to use eero, you will still need to have an Internet Service Provider (ISP). Your ISP takes care of getting an Internet signal to your house. Once you plug an eero into your existing modem and set it up, eero takes care of everything else and begins covering your house in WiFi. eero doesn’t replace your modem, it replaces your router. The first eero plugs into your existing cable or DSL modem. Additional eeros just need power from a standard outlet. Learn more about how to set up eero with your modem here. How is eero different than a range extender? Unlike the familiar router-to-range extender network configuration, eero is a WiFi system that uses multiple access points to provide your home with fast, reliable coverage all on a single network. Yes. eero has been tested for compatibility with most major ISPs. Learn more about how to set up eero with your specific ISP here. I have a home with really thick, dense walls. Will eero still work? Yes. If you live in a house with dense walls, you probably have trouble getting WiFi when you are not in the same room as your router. By using several eeros that mesh together in a system, you'll be able to get WiFi coverage throughout your home. That said, the thicker your walls, the more difficult it is for WiFi signal to get through them. You may need more eeros to cover a home with extremely thick or dense walls.